Jane Jenson was awarded the Tier I Canada Research Chair in Citizenship and Governance ( CCCG) in March 2001. She is a Professor of Political Science in the Département de science politique at the Université de Montréal since 1993. Prior to joining this department she taught at Carleton University in Ottawa for more than 20 years. 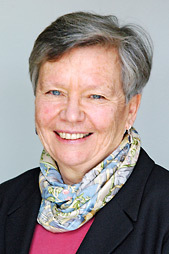 Jane Jenson was named a Fellow of the Trudeau Foundation in 2005 and became a member of the Successful Societies Program of the Canadian Institute for Advanced Research (CIFAR) in 2004. She was elected a Fellow of the Royal Society of Canada (FRSC) in 1989. Jane Jenson has also been invited to teach at a number of universities in North America and Europe. In 1988-89 she held the William Lyon Mackenzie King Chair in Canadian Studies at Harvard University. She has also been a Visiting Professor at the Universität Augsburg, the Freie Universität Berlin (Free University of Berlin), and the European University Institute, Florence. In winter 2005, she held the Chaire Bernheim en études sur la paix et la citoyenneté, Université libre de Bruxelles, Belgium. Between June 1999 and June 2004, Jane Jenson was the Director of the Family Network, Canadian Policy Research Networks, Inc.
She is currently the Directrice of Lien social et Politique, a social policy journal, based in Montreal and with an editorial committee also based in France. In 2002, Jane Jenson was named to the Conseil supérieur de la langue française, a newly created body, advising the Minister of Culture of the Government of Quebec. She holds a PhD from the University of Rochester and a BA Honours from McGill University.